It is June 25th, and it is time for another Christmas card. 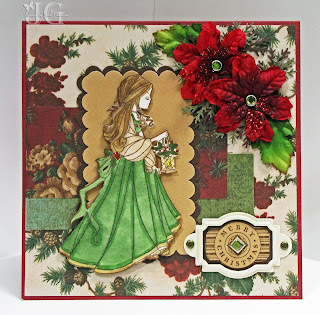 I used the Roses On Paper Challenge #14 - Incorporating Flowers, and used the Sketch from Friday Sketchers #57. 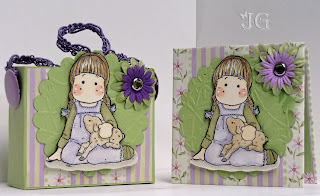 I am also using this project as my entry for the Belles 'n Whistles guest designer call. 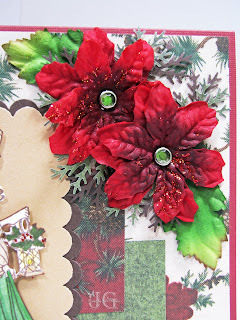 Embellishments: Hodgepodge Hardware, Rhinestone brads, Prima poinsettias. 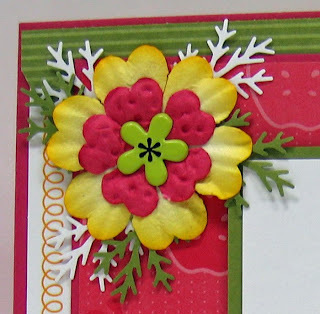 Here is a closeup of the flowers I added for the Roses on Paper Challenge. Just 6 more months to Christmas! Can you believe it? I used the airbrush to make the rainbow paper. I made the lollipop flower. For instructions how to make this, go check out this tutorial at The Next Level. This was my first attempt. They are pretty fun to make. I flipped the image upside down. 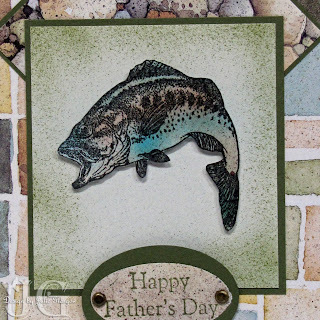 I used a piece of paper from the River Rock Collection to stamp the fish. I then used my airbrush system to add some more color to the fish. 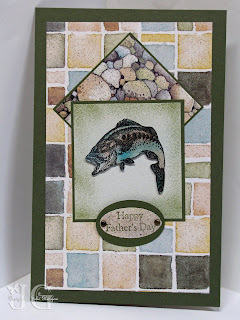 This accomplished two challenges; the Mojo Monday Challenge and the challenge to get Father's Day cards done on time. 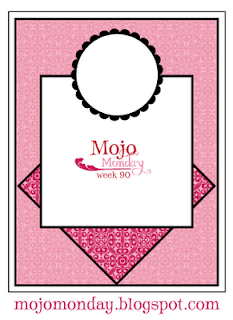 Have a happy Mojo Monday! I added Stickles and some Copic White Paint to my image to add dimension. There is a great new challenge blog out there called The Next Level. The above "Lollipop Flower" idea came from their first issue. 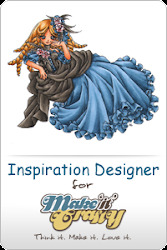 You can find a picture tutorial here. I used some Stickles around the edges of the circles, and added a flower brad, colored with Slick Writers, and painted with Copic White paint for the polka dots. The butterfly is from the Martha Stewart punch line, masked with another butterfly from Martha Stewart, and airbrushed with my Copic airbrush system. 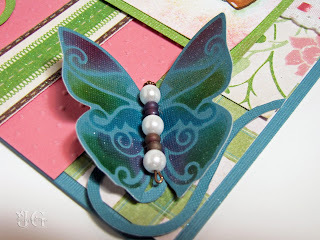 This butterfly is Spellbinders butterfly die cut, which is also airbrushed. I added some pearls and beads for the body. I asked my husband if the card was too busy. He said, "it is pretty busy." Nonetheless, I like it. What do you think? 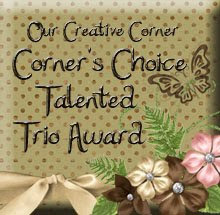 You can click here to check out the other Blogger's Challenge Players Sites. Have a great weekend. 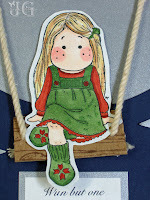 Stamps: Tilda with Christmas Stockings, Log (both Magnolia). 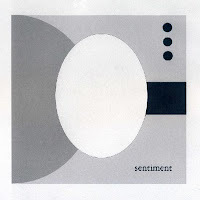 I was trying to find a sentiment to the effect of hanging from the moon or swinging from the moon. I finally came up with my own little sentiment, "With but one thought of you, I am hanging from the moon." 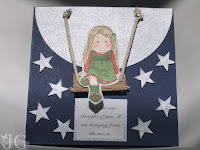 I don't have the swing stamp, so I stamped the log stamp on a piece of chipboard and cut it out to make a swing. I attached the rope twine to the swing and attached it to the moon. I hope you like my different approach to the sketch. Have a great Wednesday! 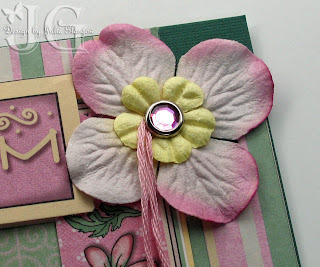 I made this project for the Magnolia-licious Highlites Blog Hop Challenge. The challenge was to make a Post-It Note Holder and gift box using directions from Bridget Owens. You can get the directions here. 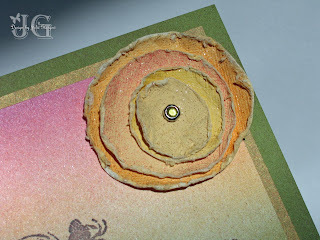 Embellishments: Prima’s, rhinestone brads, Cuttlebug embossing folder, Spellbiners scallop circle nestabilities, purple trim from Walmart, large circle brads. The timing of this project was perfect. My very dear friend has a birthday today. I did not know it was her birthday until our group meeting last night. However, I had brought this project to show, and was able to give it to her for her birthday. So, HAPPY BIRTHDAY BRENDA! 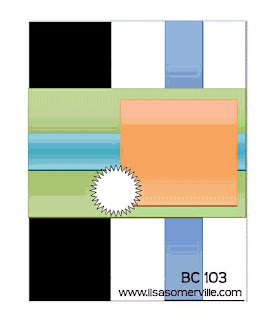 One thing I have seen others do that I really like is changing the layout for the Post-It Holder and the Gift Box. I ended up using the same layout for both, but really like the ones that are similar but different. Oh well, next time. 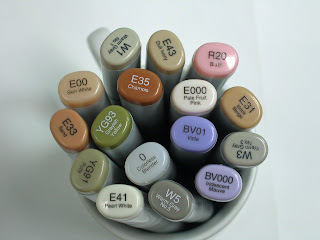 These are the Copics I used to color Tilda. Keep your fingers crossed for me that I get the Magnolia-licious prize. Have a great Tuesday! 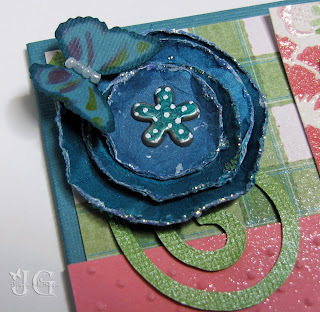 Blogger's Challenge 102 - Summertime/Embellish-online.com Sumthin' Bout Summertime! 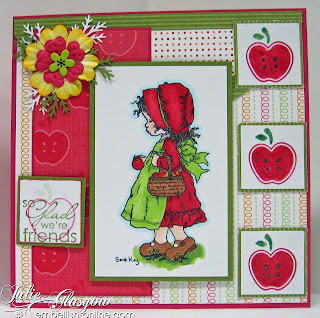 Here is my card for the Blogger's Challenge #102 - Summertime. 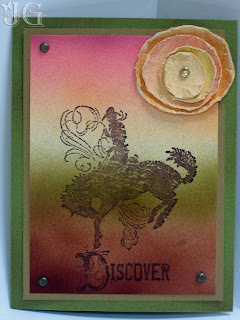 This is also the card I made with Embellish-online.com's blog hop that went from Monday through Wednesday, called Sumthin' Bout Summertime. 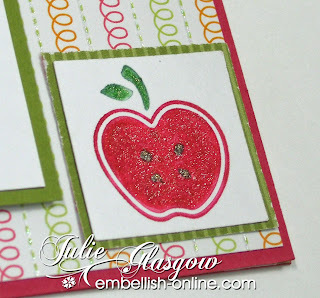 After stamping the apple in Rose Red and Garden Green (for the stem), I colored over the images with Spica Glitter pens. It is usually pretty hard to catch the shine in a picture, but I thought the picture above captured it pretty well. I used a rub-on on the brad to add a little bit more to the flower. 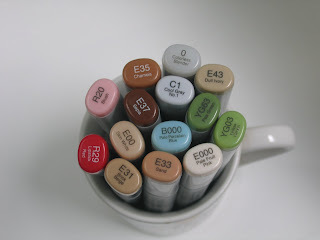 These are the Copics I used to color Sarah Kay. I should note that I did not have a good blend for R29 for the bonnet and dress, so I used my C1 and C3 grays to add some depth. I have been busy, busy making projects, so check back soon for more projects. Other notes: I made the frame out of a border that came in the Paper Pizazz Girls to Women pack. The picture does not show it as well as it could, but I used the Spica Glitter Pens to add some bling to the skirt and the bow. I got the Prima Hydrangea flowers from Roses on Paper. Summer has a wonderful assortment of Prima's (and Magnolias too). 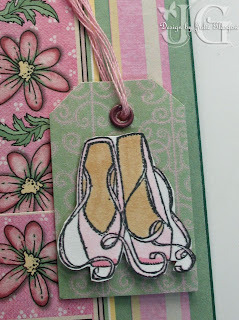 I stamped, colored, and cut out the ballet shoes as an embellishment. 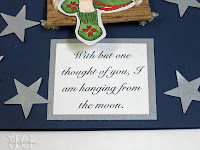 I still have not finished my Sumthin' Bout Summertime card, but check back Friday as I plan to post it for the Friday Blogger's Challenge (with the theme also Summertime). 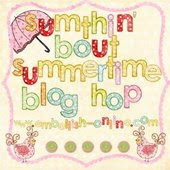 Go check out the blog hop going on with the design team (the IT-Girls) from Embellish-online.com. 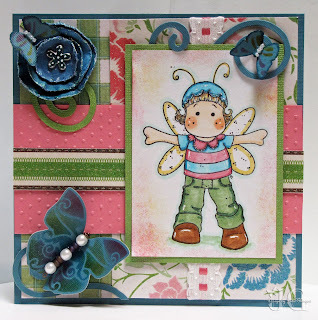 The blog hop goes for 3 days, and starts here. 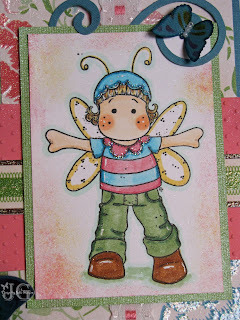 I hope to be back Tuesday or Wednesday with a card with the theme for Embellish-online.com, Sumthin' Bout Summertime.